New York–based architecture and design firm Aranda/Lasch by Benjamin Aranda and Chris Lasch won 14+ Foundation’s international design competition to design furniture for the Chipakata Children’s Academy in Zambia, Africa. The design, titled “Nesting Furniture,” is lightweight, movable, and weather resistant in response to the project’s surroundings (both of Zambia and the school) and the materials and resources available in Sub-Saharan Africa. “Our design is a furniture system that uses the local craft of wattling, or twig weaving, to make many different configurations of furniture. 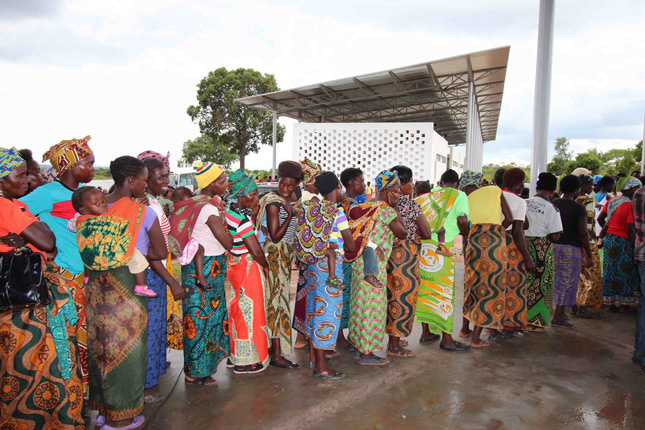 Every element will be sourced and made locally by artisans in Zambia,” said Aranda in a press release. Aranda/Lasch is known for its modular, geometric approach to design and has created everything from houses and art venues to furniture and installations. Each piece of the “Nesting Furniture” series is flexible, with the smaller pieces neatly fitting into the larger pieces (hence the term nesting) and various arrangements of the seats and tables can be used for playing, eating, learning, and crafting. 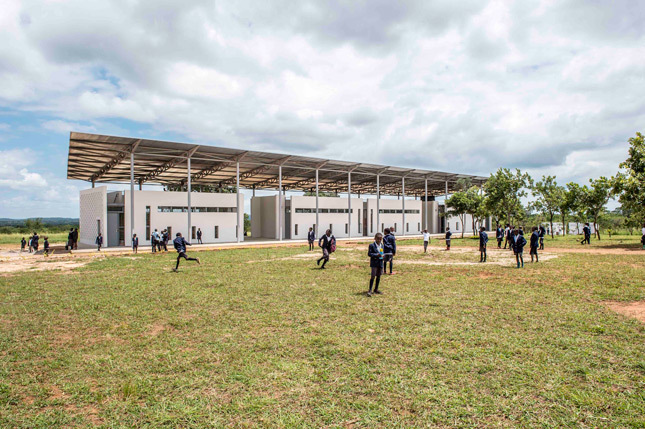 Susan Rodriguez of Ennead Architects designed the Chipakata Children’s Academy with Frank Lupo and Randy Antonia Lott for 200 children in grades one through six. The facility also provides care for orphans and children in need in the local community. The 14+ Foundation, which sponsored the project, is a New York City–based nonprofit that focuses on providing education and art programs to children in need in Africa. It is currently developing its second project, Mwabwindo School in Mwabwindo Village, Zambia, with Selldorf Architects, slated to open January 2018.